Marcia Moss; Barbara Dudley, Women’s Cabinet education chair; Judy Rosenblatt, Bootsie Goldmeier, and Marcia Hofheimer. 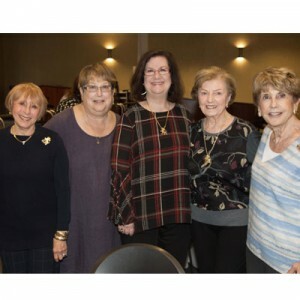 The Women’s Division of United Jewish Federation of Tidewater held its annual Lion Tikva Chai Luncheon on Thursday, Nov. 1 to celebrate its newest milestone givers. And, there was a lot to celebrate. Author, lecturer and performer, Erin Mahone. 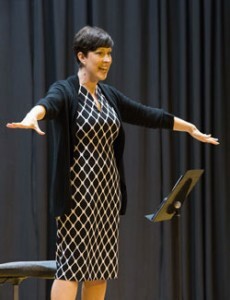 Headlining the event was author, lecturer, and performer Erin Mahone, whose one-woman show, It Runs in the Family, was based on the pages of her recently published book, If You Could See Me: Life, Motherhood, and the Pursuit of Sanity. Her performance was deeply personal and described some of the highest and lowest points in her life, with an overriding message that life is a mixed bag, but the trick is to make the most of it—and to see the beauty in all things—even those which aren’t so obvious. Held just days after the horrific events which took place in the Jewish community of Pittsburgh, Rabbi Rosalin Mandelberg delivered an opening message of healing and comfort to the women in the room. Rabbi Roz was followed by Janet Mercadante, Women’s Cabinet chair, who opened the lunch with a quick campaign overview, which revealed this year’s campaign to be on a remarkable trajectory—well ahead of the pace of last year, and set to break records across the board. Next to take the podium were Stephanie Calliott, immediate past chair, and Barbara Dudley, Cabinet education committee chair. Dudley announced the names of the newest milestone givers (see box), and Calliott called the names of the Federation’s Endowed Lions of Blessed Memory—women who endowed their Lion of Judah gifts to the Annual Campaign during their lifetimes, so that their gifts would continue to benefit the community in perpetuity. To close the event, Mona Flax, Women’s Cabinet vice chair, thanked all for coming, for supporting the annual campaign, and for asking others to support it, as well. She pointed out and encouraged all to come to the next women’s event, a Women’s PLUS ONE event. Free and open to all women in the Jewish community (and their plus ones! ), the PLUS ONE event will take place on Tuesday, Nov. 27 at 7:30 pm at the Sandler Family Campus and features author Jenna Blum, discussing her latest novel, The Lost Family. Amy Zelenka is United Jewish Federation of Tidewater’s Women’s campaign director. 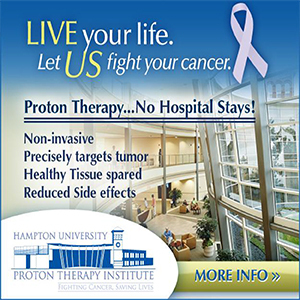 She may be reached at AZelenka@ujft.org.